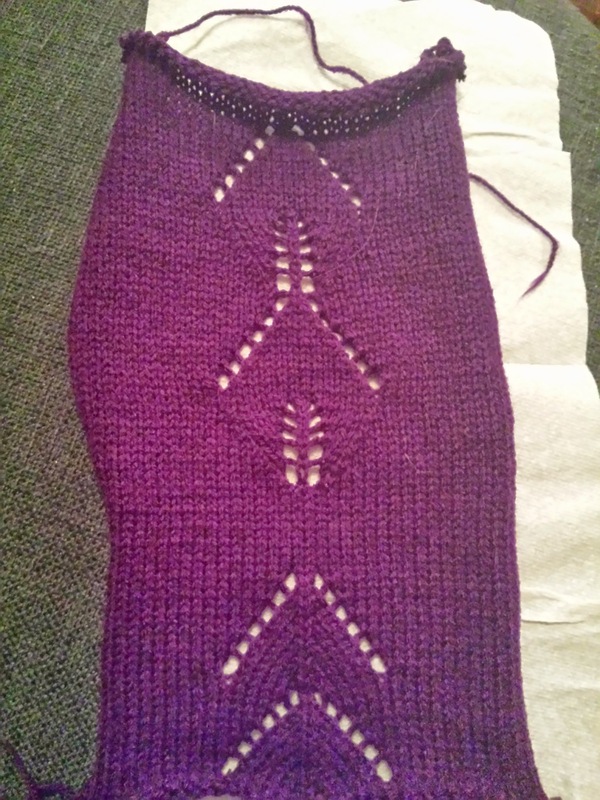 Alex's Machine Knitting: Well, It Has Been A While! Hello again everyone I am still here, if you haven't forgotten about me, although I couldn't blame you if you had, lol. I am very busy at the moment with college (still!!) and work. But I have been reading the blogs I follow, I just hadn't been on mine, It is quite difficult as I STILL have no computer, I have been saving, so will hopefully be able to buy one in a month or two. I got chance to do a bit of knitting today before work, as I noticed Susan had uploaded a couple of videos which were lace patters on the bond. So I got my Bond out today and had a go and here is what I came out with. Thanks Disaldo, I have just started hand knitting a cabled babay hoody, so I will get some pictures up soon.